Life has been treating me particularly well lately! My gorgeous husband finally came home from his overseas work assignment, I’ve been attending a ton of fun events in my lovely city, a good friend just eloped (and we are thrilled for her! ), and summer is starting! LOVE!!! With all this great stuff happening, I thought I would take a moment to give a little thanks and reflect on how I could make my life even better and continue on this positivity train! So, here is a list of things I am going to start doing a little more in my life. Read on! Breathe a little deeper. 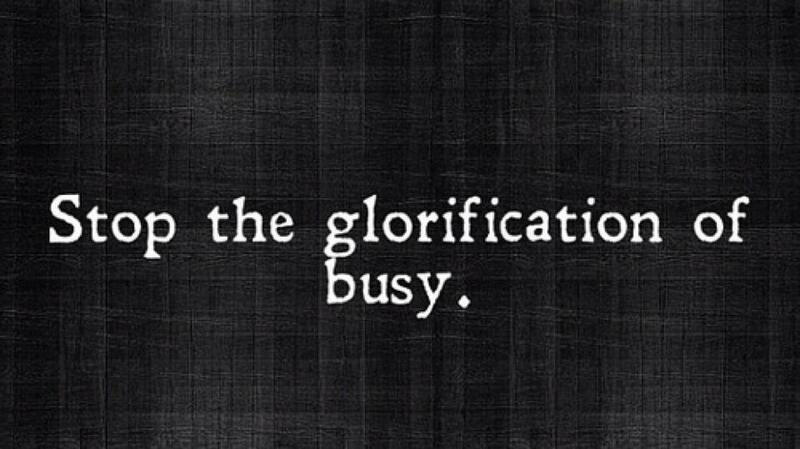 My life can get pretty hectic and our society really “glorifies busyness”. I can get pretty anxious and stressed, which has led to a panic attack or two. Not cool. When I’m home alone – I can’t sit still. I’m always cleaning, rearranging, organizing, writing, gardening, chasing the cat, etc. I want to start meditating. The act of taking a moment to just stop and take a deep breath is cleansing, relaxing and centering. Drink even more water. I drink a ton of water already, but I need more. When I’m at work, I can usually down about a 1.5 litres in a typical work day. That is not the case when I’m at home though – I don’t know why. What I do know is that water is extremely good for you, and we could all stand to flush out all those toxins we take in on a daily basis. I remember drinking an absolute ton of water when my allergies were terrible as it was the only thing that soothed my terrible hacking cough. While I felt terrible, my skin glowed. Everyone noticed and complimented me. I want that look back! Haha! Start doing yoga. I have been saying this to myself FOREVER now. While I love the idea of yoga, I have always thought that it looks really boring. I am used to running hard, doing weights and exercise classes like Shred and Pump. I like to get my sweat on and love the feeling of being sore a day or two after a good workout. I always felt that yoga would never provide that. My good friend Vanessa explained that yoga most certainly provides an awesome workout and she has the toned arms to prove it. Also, I love the idea of a calm, slow Hatha yoga class to calm the nerves after a hectic work day and just concentrate on relaxing and breathing. I also love the idea of shopping for cute yoga clothes. Always gotta work that shopping angle! Read more. I have had a stack of unread books on my nightstand for as long as I can remember. I want to get reading more! I am a non-fiction lover, and love getting totally absorbed by a good read. God knows it will be better for me than watching Bethenny Frankel scream her way through Real Housewives of New York. “I look like this when I talk normally!” Just kidding, Bethenny. You’re my fave NY real housewife! Turn off all of my electronic gadgets an hour before bedtime. Sometimes my husband looks at me and laughs while I simultaneously scroll through my iPhone, watch YouTube videos on the iPad, and flip through a good Harper’s Bazaar. I know that the light emitted by my beloved tech friends (yes, I treat my iPhone and iPad like best friends) is overstimulating and greatly affects sleep patterns. Do I really need to check my Instagram for the thousandth time that day right before bed? No. What I need to do is get more sleep! Be less judgmental and more empathetic and forgiving. This is something I’ve been working on for a long time and I’m much better than I used to be. Being judgmental is not only mean, it’s a reflection on the judgmental person’s character. While it’s easy to dismiss a rude or negative person as a jerk, there may be a reason for that jerky behaviour. “Everyone you meet is fighting a battle you know nothing about. Be kind. Always.” Sage words. Challenge myself more. There are a few things that I’d like to do but I’m just too chicken (or lazy) to try. I want to learn to rollerblade (I’m a pretty good skater), I want to save more money, I want to better my French speaking skills, I want to complete a triathlon, I WANT TO START YOGA (hahaha), I want to learn to knit, etc. I love to learn new things and need to take the time to do so. I’m going to add these to my “Goal List” that I look at on a daily basis (well, the “save more money” goal has been there for years…*hangs head in shame*). What are some things that you want to do to better yourself? What do you think of this list? Please go ahead and comment away! Jodi! I’m going to try this out! Thanks for the tip and thank you for stopping by! You are very welcome and deserving! I need to reduce the time I spend on social media. This post is inspiring. Nice one. Great universal list for everyone to take inspo from! Thanks so much, Joy! Now…to just implement the list! LOL! Those are all great goals to aspire to! I would also like to read more books. I’m terrible at committing to a book. I much prefer reading online articles! I’d also like to do more meditation type of activities especially in the evenings. Ooh, I am right there with you on a lot of these things. I just got myself a new huge waterbottle to help with the water thing. It is with me at all times. I’ve found that I’m more inclined to drink more of it if I add things to it. Lemon, mine leaves, or (my favorite) frozen fruit! They act like ise cubes only you get a little snack when you finish the bottle. Adds great flavor, too! I started the yoga thing this year and it’s going… not as well as anticipated. Sometimes I convince myself to roll out the mat and go, particularly on high stress weeks. But it’s not as regular of a practice as I would like. I like to take my mat over to the beach, since I’m so close, and do yoga right on the water. Last week, there was a storm rolling across the horizon. There was something wonderfully chilling about watching huge storm clouds and lightning roll past you as you’re breathing and meditating. Talk about really connecting with your environment. All these things in general are just really good for everyone. Here’s hoping we can remember to do them. Thanks so much for reading, Beth! Means a lot! I am going to sign up for some yoga in the coming weeks. Maybe I’ll post about it! I’d love to read about it! I’m in a transition stage right now with moving in a few weeks to Hawaii and probably not moving into our new home until mid-late July. But after we’re settled, I’d *love* to find a good studio!! Oooh sounds good! Wow – what I would give to move to Hawaii! Bravo! Imagine doing some yoga on one of Hawaii’s stunning beaches? There must be some outdoor yoga classes. WOW. I love meditation. If you’re ever up for a guided meditation session during a lunch break, let me know! “Supernova”…nice ring to it, Beauty! How’s TO treating you? Did you go to the Benefit store opening???? do u love the new nickname – YOURS ….. xxxx TO IS good – finally sunny xxxxx no i didnt go – NEW man – LOL XXXX but one of my sweetest ottawa friends is coming for the weekend and she is way more energetic than i am so ,……. Those are great goals, especially #1. 🙂 Society’s always reminding us to hustle for success, so we always forget to relax and re-energize. Definitely. When I stop and just sit, I’m amazed at how overwhelmingly tired I am. I love this! THIS LIST has thing I SHOULD be doing regularly too! And a few I have forced myself to get into habit, like drinking water, I never let the day pass until I have consumed a goal of 2L atleast . Breathing deeper is necessary for me, I need to start practicing these , especially now when I am at work and the person down my phone is being a complete energy waster. God – energy wasters…total emotional vampires. I meant to list cutting out road rage too. I actually started listening to classical music in the car to curb my anger, but then I started falling asleep at the wheel! Just kidding! LOL!